13. יַעֲקֹב כַּמָּה רָעוֹת סָבַל, רָעוֹת עַל רָעוֹת תָּמִיד, כְּמוֹ שֶׁנֶּאֱמַר לֹא שָׁלַוְתִּי – בְּבֵית לָבָן, וְלֹא יָכֹלְתִּי לְהִנָּצֵל מִמֶּנּוּ. וְלֹא שָׁקַטְתִּי – מֵעֵשָׂו, מֵאוֹתוֹ הַצַּעַר שֶׁצִּעֵר אוֹתִי הַמְמֻנֶּה הַהוּא שֶׁלּוֹ, וְאַחַר כָּךְ הַפַּחַד שֶׁל עֵשָׂו. וְלֹא נַחְתִּי – מִן דִּינָה וּמִן שְׁכֶם. 14. וַיָּבֹא רֹגֶז – זֶה הָרֹגֶז וְהָעִרְבּוּבְיָה שֶׁל יוֹסֵף שֶׁהוּא קָשֶׁה מִן הַכֹּל, וּמִתּוֹךְ אַהֲבָתוֹ שֶׁל יַעֲקֹב אֶל יוֹסֵף, שֶׁהוּא סוֹד הַבְּרִית, נִכְנַס לְמִצְרַיִם, כִּי אַחַר כָּךְ כָּתוּב (שמות ו) וָאֶזְכֹּר אֶת בְּרִיתִי, שֶׁתִּמָּצֵא הַשְּׁכִינָה [נ”א שֶׁמֶשׁ] שָׁם עִמּוֹ. 15. וַיֵּשֶׁב יַעֲקֹב בְּאֶרֶץ מְגוּרֵי אָבִיו בְּאֶרֶץ כְּנָעַן. רַבִּי יוֹסֵי פָּתַח, (ישעיה נז) הַצַּדִּיק אָבָד וְאֵין אִישׁ שָׂם עַל לֵב וְאַנְשֵׁי חֶסֶד נֶאֱסָפִים בְּאֵין מֵבִין כִּי מִפְּנֵי הָרָעָה נֶאֱסַף הַצַּדִּיק. הַצַּדִּיק אָבָד, בִּזְמַן שֶׁהַקָּדוֹשׁ בָּרוּךְ הוּא מַשְׁגִּיחַ בָּעוֹלָם וְאֵין הָעוֹלָם כָּרָאוּי, וּמִזְדַּמֵּן הַדִּין לִשְׁרוֹת עַל הָעוֹלָם, אָז הַקָּדוֹשׁ בָּרוּךְ הוּא נוֹטֵל אֶת הַצַּדִּיק שֶׁנִּמְצָא בֵּינֵיהֶם כְּדֵי שֶׁיִּשְׁרֶה הַדִּין עַל כָּל הָאֲחֵרִים וְלֹא יִמָּצֵא מִי שֶׁיָּגֵן עֲלֵיהֶם. As we leared in previous study, the righteous people suffer great hardship so they can have great rewards in the world to come. Jacob didn’t have peace in the house of Laban. He also couldn’t have quietness because Esau was after him. He couldn’t rest because his daughter, Dina, was raped. His sons, Shimon and Levi, got into a fight with Shechem and killed all the men of the city. Then came the turmoil, which is the feeling of loss he experienced when he heard that Joseph was gone. The Zohar tells us that Jacob suffered a lot so he could stay far from the evil inclination. Because of it he merited becoming the chariot for the Central Column. The Zohar teaches that when the world is not worthy of the Chassadim revealed by the righteous God takes the righteous away from the people. The void left behind them releases judgment in the community and the world. It gives opportunity to the people to make corrections and push away the negative side that was allowed to come. Rabbi Shimon could’ve rid the world from the negative side. God didn’t send the angel of death to take him because the purity of Rabbi Shimon didn’t allow death to come close to him. God asked him to leave the world at his own time. 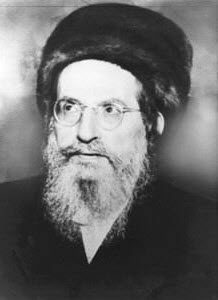 After Rabbi Shimon ascended to heavens (read Idra Zuta) the world gradually sank into darkness. The Zohar that Rabbi Shimon left for us was found and studied by Kabbalists in the early 1300. With that revelation of Light, the world awakened and the renaissance era began in Italy (where many Israelite souls existed). When a Tzadik passed away his community and the world experience lack of light. God wants us to take personal responsibility and not to be dependent on Tzadikim. We should definitely learn from them and get their support. At the same time accept the hardship and challenges in our lives, keep moving forward and expand our souls.